A late-bronze age city has been discovered in Kalavasos-Ayios Dhimitrios and Maroni, located in the adjacent river valleys in south-central Cyprus. The Emerging Media Lab and the AMS Game Development Association are collaborating to give people the opportunity to experience and learn more about this ancient city in “virtual” reality environment. To create an educational game that encourages participants to learn more about this ancient city through a virtual reality experience. The learning objective for this game is to educate the user about how different socioeconomic status are reflected in a city’s architecture. The connection between social status and the built environment can be seen throughout history, including today’s modern day cities. For example, buildings in upper class areas tend to have more expensive materials and larger living spaces compared to structures in lower class neighbourhoods. With the help from students at the Center of Digital Media, the project team will aim to recreate the city’s historical landscape as accurately as possible. 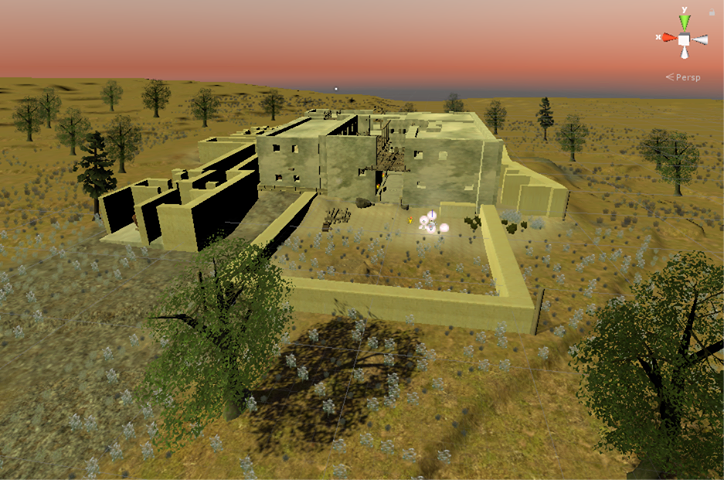 The site currently is in ruins and there are no clear blue prints to what the city actually looks like. Based on what we already know, we are trying to recreate the city in VR and understand how cities were built during a time when city development was in its early stages. This virtual reality experience will give researchers and students a new perspective of how people designed and built cities during the bronze-age period and compare it to how cities are created today.